There’s a new craze sweeping the food scene and that’s pulled meat… ok, ok I know it’s not new but it’s new to me, I’ve never tried anything that’s been pulled. The only pulled thing I’ve had anything to do with is a pulled muscle 😆 ! I bought this because I wanted to jump on the pulled pork bandwagon and see what all the fuss was about. My friend Gemma (who you’ve been introduced to in my post about Ainsley Harriet’s Couscous) cooks pulled pork on a regular basis but I’ve been introduced to it. 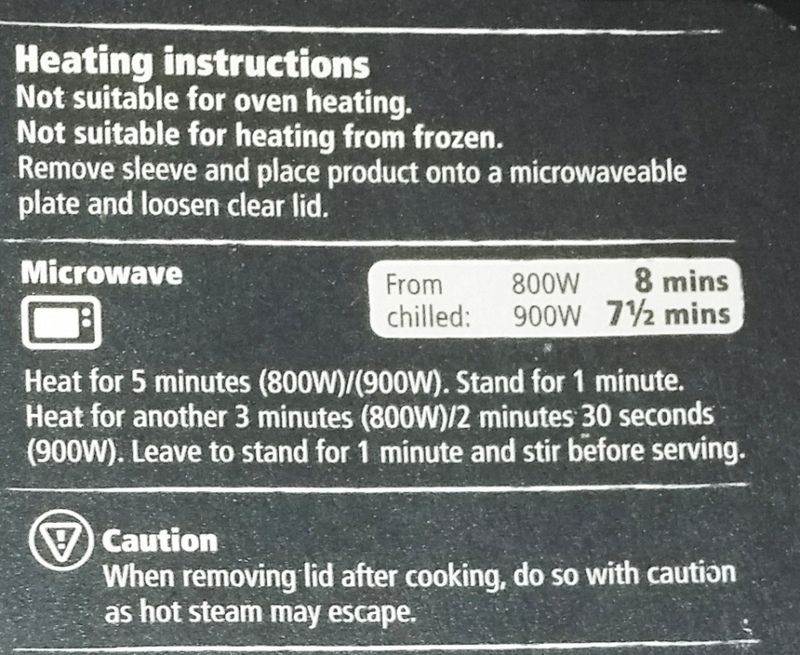 If I’m honest it all sounds a bit of a fad to me, I mean if you slow cook meat in most cases it should just pull apart anyway where’s the fun in that, surely meat is meant to be carved neatly not shredded to bits like it’s been attacked by a wild chipmunk 😛 ! The list of ingredients all seemed fairly straight forward and, honestly, I think I could re-create this dish from the list. You can also see the nutritional information in the picture above. 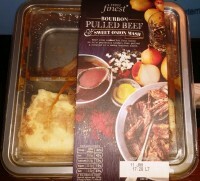 The ready meal had good packaging and the information was clear and concise, it was easily distinguishable, may not be easy for everyone to read but the black and white colours did provide a reasonable contrast. 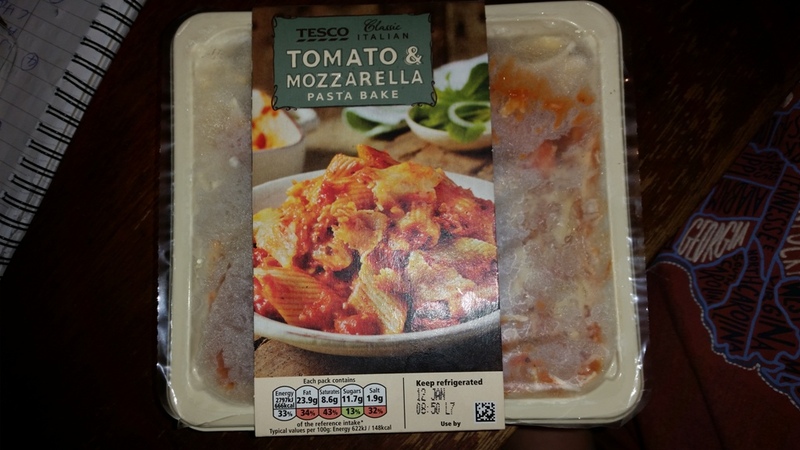 The product was split into two sections, as you can see in the image below. I like this because it gives you plating options when you are serving up, as opposed to it all being in one tray. Writing this review and looking at the photographs again it does make me think of airline food, but it really didn’t taste like that. 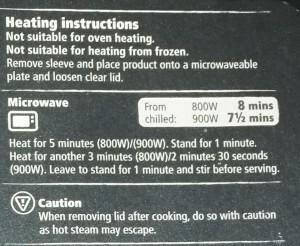 The cooking instructions (below) were clear and concise although, again don’t offer any instructions for someone with a prehistoric 700W microwave like mine. 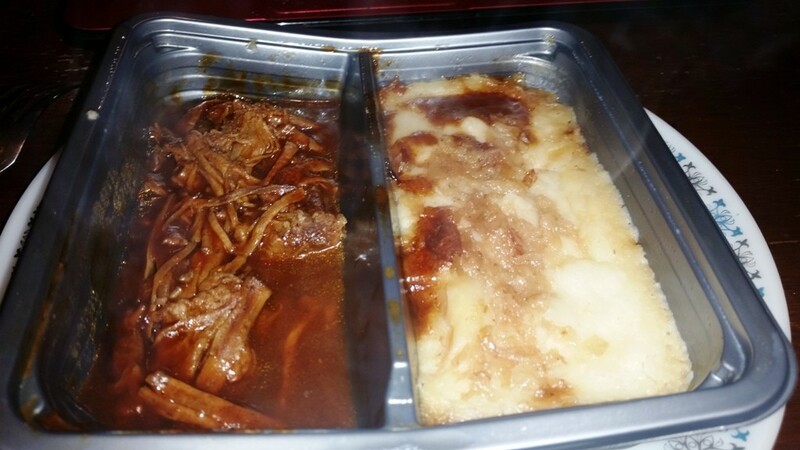 Beef slow cooked for four hours so it’s perfectly tender, then pulled & covered in a rich, smoky barbecue & bourbon sauce with creamy British King Edward potato & onion mash. Despite how it may look in the photograph it was a fantastic ready meal and II thoroughly enjoyed it. 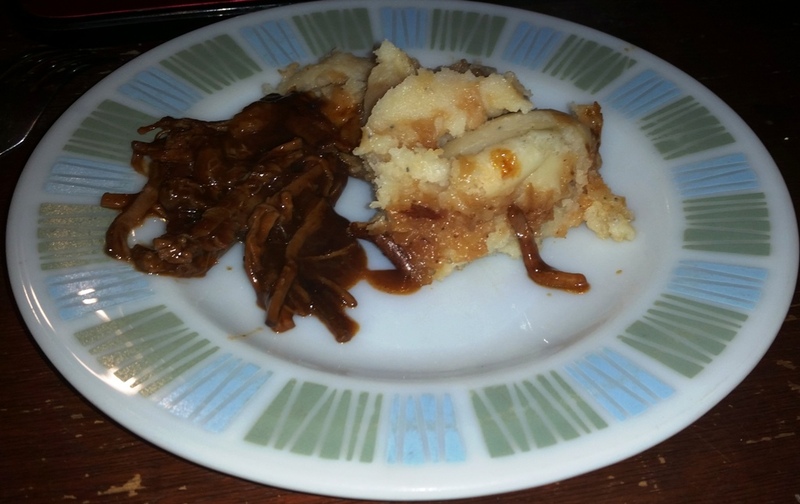 The mashed potato was fluffy with red onion and cheese running through it, it was comforting and tasty. 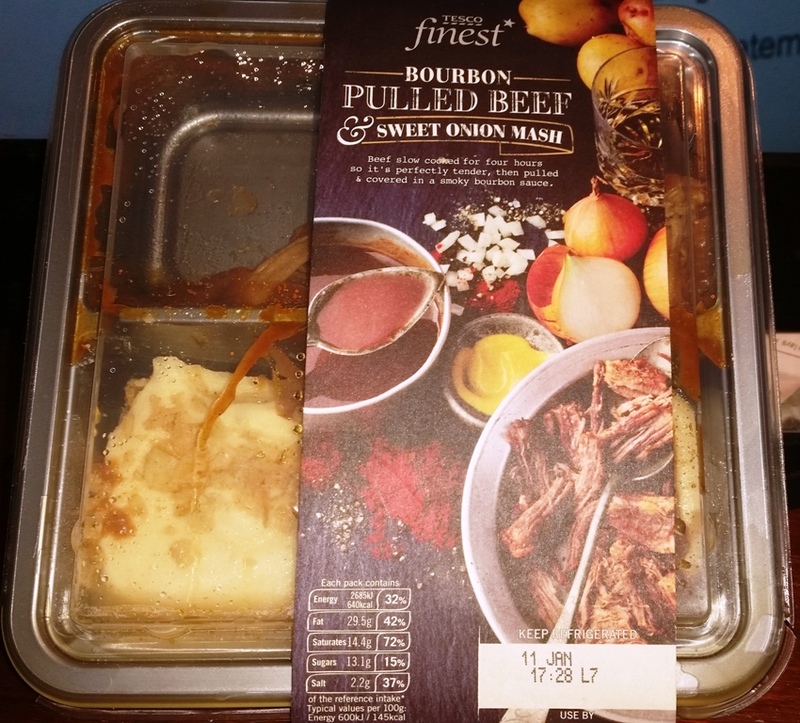 The pulled beef had a deep rich soothing feeling and was thoroughly enjoyable I’d give this a whopping eight out of ten and would definitely buy it again. I’m sorry I missed uploading a recipe last week, the week ran away with me and before we know it – well it’s Tuesday! 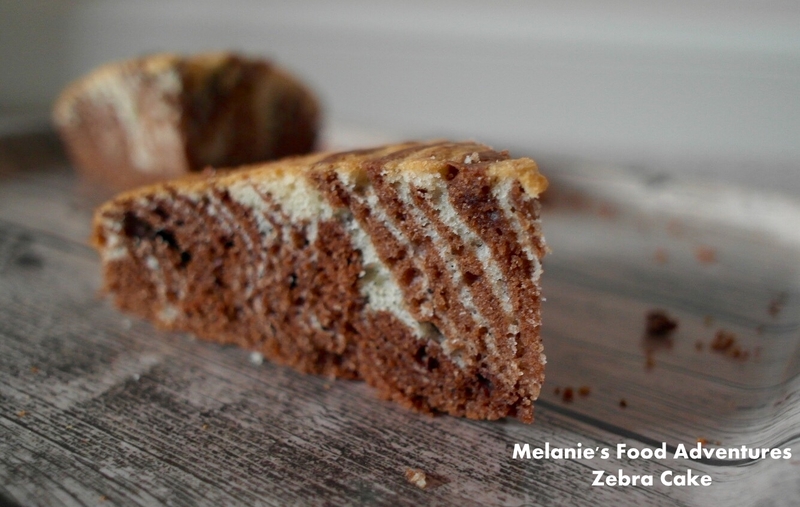 I am pleased to say that the lovely Melanie from Melanie’s Food Adventures will be guest blogging for us this week. You all know that sweets and desserts are not my strong point…. well ok I have got a couple up my sleeve like my tiramisu but Melanie is a baking guru and she will be giving us a flavour of her baking prowess very soon. 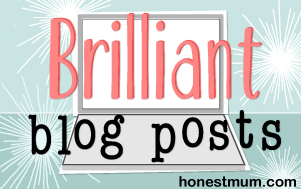 Check her blog out, it’s a great read. Remember to get involved, let me know what you want me to cook or review, visit us on our social networking pages.